When a child, spouse or a loved one suffers from substance abuse or a substance use disorder it is often clear what is needed: comprehensive addiction treatment. However, one of the largest gaps in services related to addiction treatment is family resources for the family of the patient. Many providers are not equipped to provide the COMPREHENSIVE family resources needed for those whose loved one is in active addiction, receiving treatment or even in recovery. These resources include treatment, education, support and management for the family. The best recovery outcomes for an addict or alcoholic occur when the patient’s family begin their own recovery process. 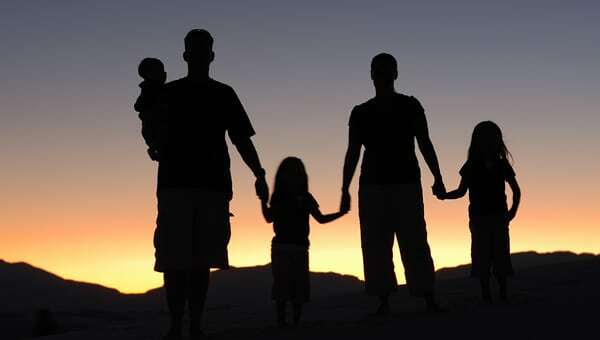 No matter how healthy a family system may have been at one point in time, if that family system has had someone with an addiction, the family system will be negatively impacted. Therefore, here at Maryland Addiction Recovery Center we have created a comprehensive family treatment and support system through our own programs and strong strategic clinical partnerships with other providers in order to offer families the greatest resources and opportunities for recovery. The following are three specific resources and partnerships offered at MARC for the families of addicted children, spouses or loved ones. You can find our own list of comprehensive family treatment options that we under the “Services” tab here on our web site. Don Sloane, the owner/founder of Recovery Care Partner, is a 30 year veteran of the treatment and recovery field and is a well-known interventionist. Working with MARC, Don and his team can offer interventions for a loved one, recovery care management and family system recovery work. Working with patients and their families, Recovery Care Partner creates a system of support for a family and patient to establish a platform for sustainable recovery. When working with an identified patient and family, Don seamlessly works hand-in-hand with MARC’s clinical team to establish identified goals, objectives and outcomes for the entire family unit. MARC has partnered with world renowned Caron Treatment Centers to offer the parents and family members of the community a parent support group. Mirroring other similar successful nationwide Caron parent groups, the MARC/Caron Parent Support Group is a parent-led group that is built on the principle of one parent helping another. Sometimes the group will also bring in professional speakers or facilitators based on topics the group identifies as important. The support group meets the 2nd and 4th Wednesday of each month at the MARC offices from 7pm-8:30pm and serves parents associated with MARC, Caron and all local families. This is a free service. “Raising Drug Free Kids” is a free monthly educational seminar held at the MARC offices the first Wednesday of each month. The seminar is hosted by MARC partner Mike Gimbel, former Baltimore County Drug Czar. Mike, a recovering heroin addict and local industry expert with over 40 years of personal recovery, offers insight regarding drug trends, dangers of substances, resources for treatment and counseling, benefits of drug testing and other prevention and educational resources. This seminar is geared toward parents, families, teens, educators and addiction industry professionals but it truly a remarkable source of information for anyone in the local community concerned about addiction. If you or someone you know is in need of help because of drug and/or alcohol abuse, please give us a call. Maryland Addiction Recovery Center offers the most comprehensive addiction treatment in the Baltimore County, Baltimore City and entire Maryland/DC area. If we aren’t the best fit for you or your loved one, we will take the necessary time to work with you to find a treatment center or provider that best fits your needs. Please give us a call at (410) 773-0500 or email our team at info@marylandaddictionrecovery.com.